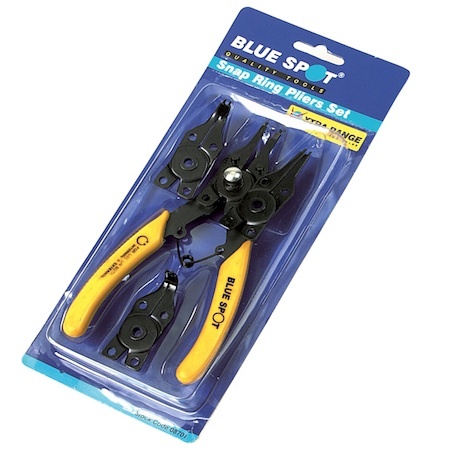 4 in 1 circlip plier set from Blue Spot Tools. 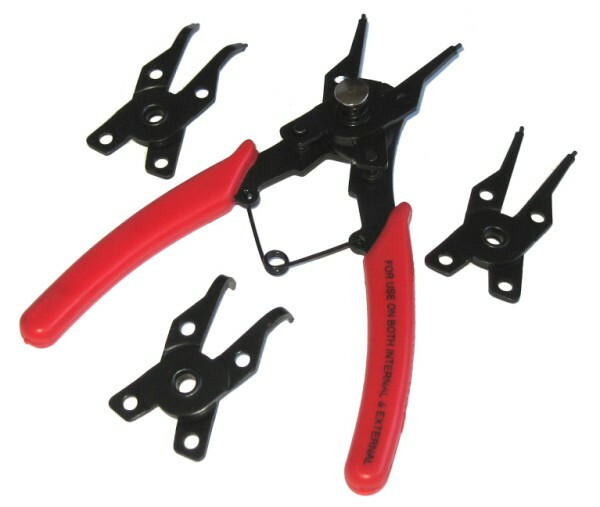 This multi interchangeable head circlip plier has interchangeable jaws for both internal and external clips. 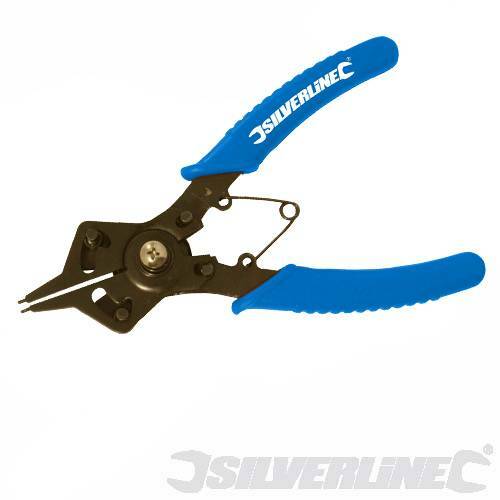 160mm pliers. 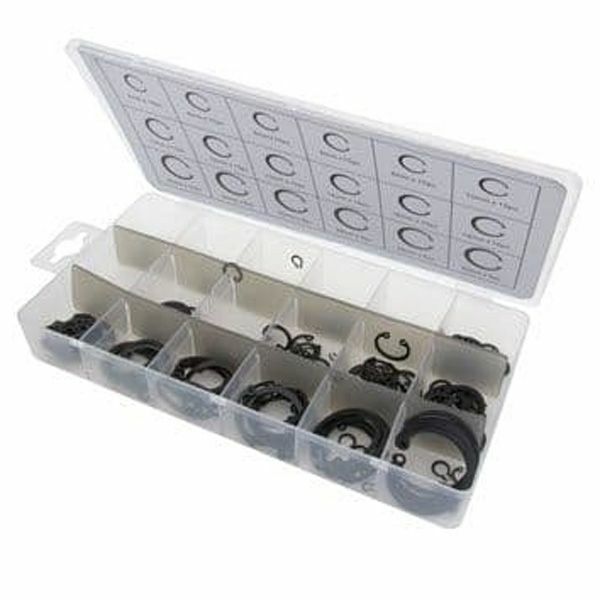 Includes two straight, one 90° and once 45° jaws. 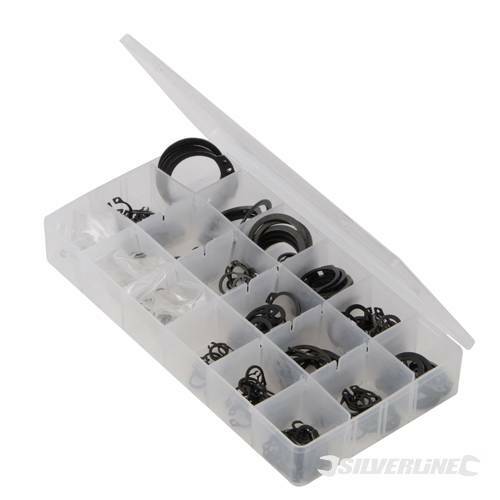 Effective range 3/8" - 2" (10-50mm). 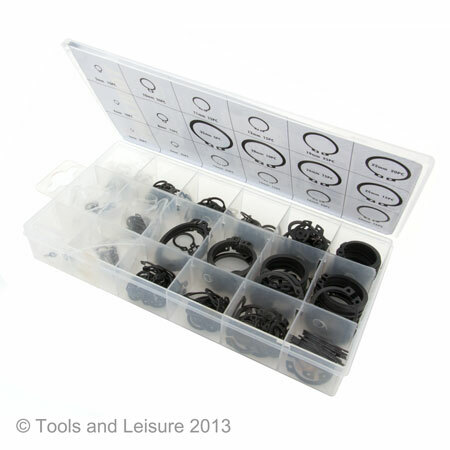 A very practical circlip plier from Blue Spot Tools. Ok it is simply not the best quality in the world but I suppose if you want top grade you pay top money. For home uses it is fine. The heads are easy to change and they are good enough for most jobs. Have used it a couple of times now and it seems fine. Cheap as chips, cheapest on Google Shopping, quick delivery so in theory makes it worth the money you pay. Is not the best plier I have ever owned but it did the jobs that I wanted to do as is now at rest in the toolbox.